Katie Weber of Nevada lets her students choose the way they are greeted each day. Watch to unlock the meaning of H, H, or H. Learn more. We are excited to announce the release of the new 5th edition of THE First Days of School! The new 5th edition will help you develop and sharpen your skills as an effective teacher. The book includes a new 60-minute DVD, You Have Changed My Life, that validates the crucial role teachers play in students' lives. The 4th edition is sold out and out of print, but is still available in digital eBook format. Limited quantities of FIRESALE 4th edition books are available. Call for pricing and availability. 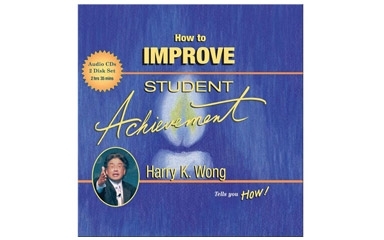 The packaging for The Effective Teacher DVD Series has been changed. The display case and individual DVD cases have been replaced with a single slim 8-DVD holder. 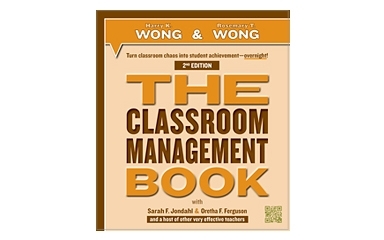 The Series still contains 8 DVDs, a copy of THE First Days of School book, Facilitator’s Handbook (on all DVDs), and 10 Successful Teaching newspapers. We are passing our savings on to you with a price reduction for the Series. It now sells for $495. So many teachers have asked. We listened and made it happen. 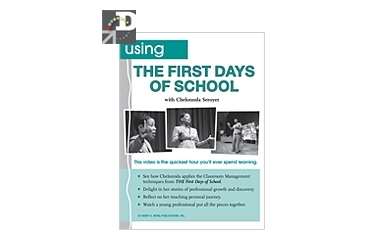 You can now access the video, "Using THE FIRST DAYS OF SCHOOL" with Chelonnda Seroyer, online. 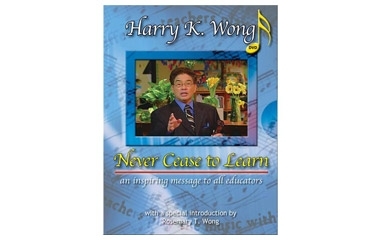 This video was previously only available as a DVD included with the purchase of The First Days of School, 4th edition. We know that many of you have previous editions of the book and want to see this video of how a first year teacher was successful from her very first moment in the classroom. It is filled with cost-free examples for immediate use. In sixty minutes you will learn and be reenergized by this high school teacher. Click here to learn more. What do you do to maximize the learning time during the first five minutes of class? We are looking for examples to build a resource library so teachers can see what other teachers do to make every minute count. Click here to see some of the examples we have and to find out more. Do you have an action video of you or your classroom? We often get requests that say, “I’ve read the text, but I still don’t see how it’s done!” We are building a resource library of procedures in action in the classroom. 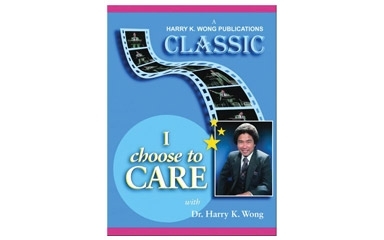 If you have a video of yourself teaching a procedure to your class or a video of your class performing a procedure and would like to contribute it to our library, please contact us at RWong@HarryWong.com. We’d love to share your effectiveness with the profession. There are no speaking events open to the public to share at this time. The Wongs also do closed meetings where organizations hire the Wongs to speak to school districts, service centers, or private groups. These meetings will not be listed here. See FAQ #10 for how to book the Wongs for your meeting or group.